It all started with one cigarette that night when you were hanging out with your friends. All you wanted was to fit in. I mean you didn’t want to come out as the uptight one in the crowd. Although it didn’t taste good you were glad that at last you were part of the gang. Then one day you were down in the dumps and that is when you remembered the good feeling that the puffs had brought, you walked to the nearby shop and got yourself one – tried again and you have not looked back since. Life is a sum total of the choices that we make on a daily basis but when these choices are made, we barely think about the consequences. That one choice might ultimately destroy the the environment or even the next generation. 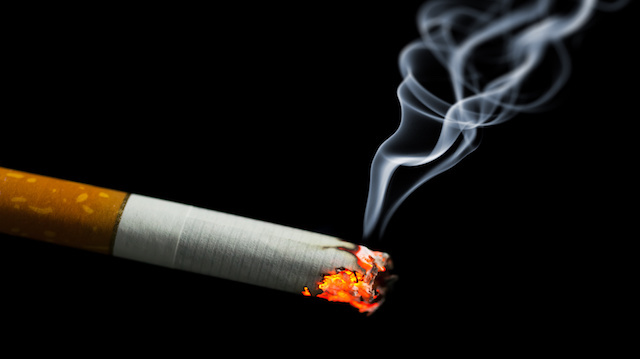 Yes, nicotine gives a good sensation but yet it hooks the victim now smoking has become part of your life and budget such that as you plan for daily expenses; food, fuel, you now have to add cigarettes that basically means your daily income has reduced. Because of the interconnectedness of human beings, that one decision you made that night has become an inconvenience to those around you – the desire is irresistible; you smoke in public in the presence of people some of who are pregnant mothers, children or even the asthmatic ones. “It is my right, I have the freedom to do what I want, ” you argue. No, it is not your right if it is infringing on the rights of those around you. Government has to intervene to protect her people since in my opinion a smoker is like a suicide bomber- kills self and those around him/her. Both weapons lethal but the difference is that the victims don’t die immediately. Now the government is torn in between the revenue it gets from the consumption or the cost of losing the citizens and protecting the environment. Should they enlarge the warning on the package of the cigarette to discourage you? It started with a choice it can end with a choice. It is never too late to quit. It is not easy but is a giant worth facing. This calls for you sitting down to do a thorough introspection, ask your creator for wisdom or even get support groups to help. So as Ugandan legislators push for the Tobacco Control Bill that seeks “To protect people from exposure to tobacco secondhand smoke by making all indoor public places, workplaces, and public transport 100% smoke-free, ban tobacco advertising, promotion and sponsorship, have accurate and visible tobacco product packaging and labeling that includes health warning, effective use of taxation measures that result in increases in the price of tobacco products so as to reduce demand and Protection of public health policies from commercial and other vested interests of the tobacco industry” the choice is yours to make. Oh my goodness this is the best thing I have heard in a long time. Congratulations Hassan. I must say, am touched by this story. Thank you for writing this piece.